Mice are small rodents uniquely suited to living in structures. Their tiny bodies are able to squeeze through holes the size of a dime. Mice are nocturnal and typically forage for food around the home at night. Mice can breed every three weeks, with a typical litter size reaching 12-14 babies. After two months, the baby mice will be able to breed and the population becomes more difficult to control. Mice infestations are troublesome not only for the damage they cause to insulation and wiring, they can also spread disease through their excrement and bring other unwanted pests like fleas, mites and bed bugs. 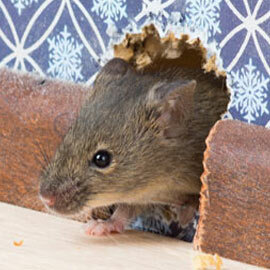 It is for these reasons that we recommend treating your mice infestation as soon as possible. If left untreated mice colonies proliferate and increase your chances for contracting disease and parasites. Mice leave droppings and urine everywhere they go. In your attic, kitchen and even in your food! We'll kill your mice and keep them from coming back. 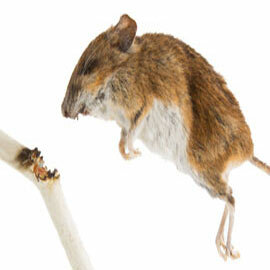 Mice chew on just about everything. Most of the time, this means wires, insulation and pipes. Don't wait for a fire or flood to happen, call us to get rid of them. Mice use exisiting holes or make their own to get inside. Rats enter through holes the size of a quarter, while mice squeeze through holes the size of a dime. A common sign of a mouse population is hearing them. Scratching, squealing, squeaking or grinding sounds are a good reason to give us a call. I had a mouse / rat problem in an apartment for over 3 months. This rodent had eaten the wiring and all of the pipes of the dishwasher including making many holes in the walls. I tried to kill him myself with every type of trap and poison sold at the hardware store. I finally called my (regular) pest control company to help. Even they could not find the rodent and kill it. I found License to Kill on the internet and call called them. They had Vincent call me back right away and he came out in 1 hour. 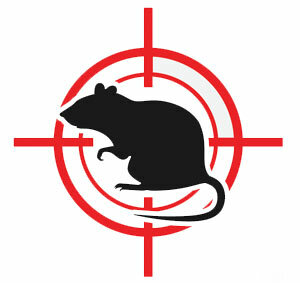 Vincent told me he had over 20 years experience with rodents and pests and he would solve my rodent problem. Vincent told me his plans and went to work. He set traps and made a special trap just for my apartment. ONLY 4 hours later my tenant called me and said the rat was caught in Vincent's trap. I went to the apartment and there it was, A rat as big as a possum, This rat filled the bottom of a 5 gallon bucket. I am very Thankful for Vincent and the quick, professional help he gave me. This guy is the only pest control guy I have met in 35 years that really knows what he is doing. I heard rodents in my walls and in the attic. 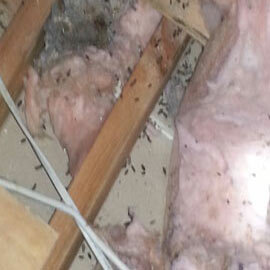 I called several companies, but inspections were very costly. I called License to Kill, they went everywhere and found a solution including a monthly program that worked for me. I recommend them to anyone in San Diego that has a rodent problem. Get Rid Of Your Mice Today!